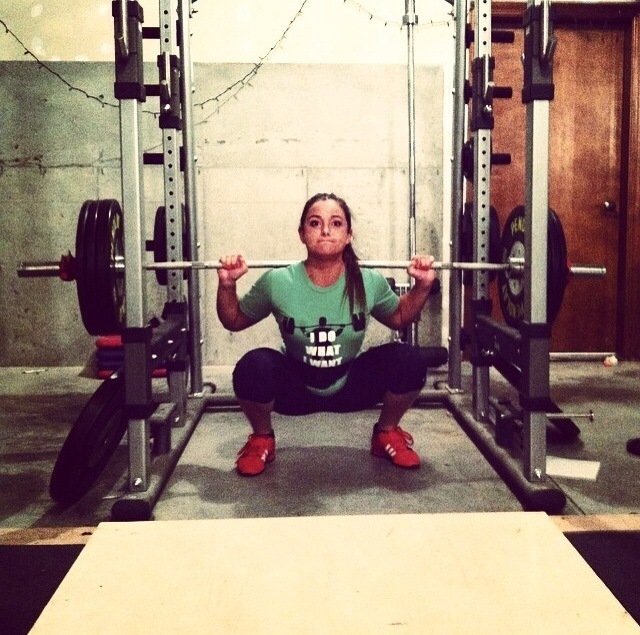 The following blog was written by Mash Mafia Weightlifting superstar Grayson Corrales. Grayson is a 63k top ranked Junior lifter, and a real threat in the Senior division. You can hear her very soul cry tears of overwhelming desire as you read her short blog. Enjoy! I want to be a great weightlifter. And I realize I have a long road ahead of me to reach my goals. Some days I love the mechanism of growth, I cant wait for heavy squats and pulls and I know that when I get my hands on a bar I’m going to feel strong and quick. These days I spend time pouring over my program, over the progress I’ve made, and I can’t hold in my excitement for the future. But sometimes I get in to the gym tired, sore, and disenchanted with the piece of iron with worn out knurl and a sad excuse for bearings sitting at my feet. Those are the days when gravity is cruel, the floor just doesn’t want to let go of the bumpers, and the bar crashes on my chest with the weight of the world; when squats and cleans pin me to the ground, and snatches just won’t stick. Those days hurt, physically and mentally. Those are the days that my aspirations and my goals seem out of reach. Such moments require mindfulness, the ability to look past a bad day, week, a slump- and to see the bigger picture. Sometimes I need to remind myself how far I’ve come. Does this lessen my goals and aspirations? Absolutely not. But if I dwell on the bad days- instead of learning and growing from them- I will never progress to where I want to be. And the satisfaction of hitting new PRs far outweighs the negativity of bad days and dispels my self-doubt. It’s about personal improvement, and that can’t happen if you don’t enjoy yourself along the way. Love the process.